Other kit home manufacturers were busy in Bay City, Michigan, but none were busier or more aggressively marketing their houses than International Mill & Timber Company. Their houses used what they referred to as the "Sterling System" of construction. An interesting feature was the terms by which the prospective buyer could acquire the home. Sterling offered the first mortgages in the kit home business by selling the houses for 50% cash down. The company would carry the balance for two years at about 1 1/2% interest. Unfortunately, International Mill & Timber ran into difficulties financially in the 1920s when some purchasers defaulted on their loans. The idea that the houses would constitute value in themselves didn't take into account the cost of the land. If the land wasn't owned free and clear, the local bank foreclosed on the lot before Sterling could foreclose on the house. As a result, Sterling went bankrupt in 1922 and was reorganized with much stricter financial terms. 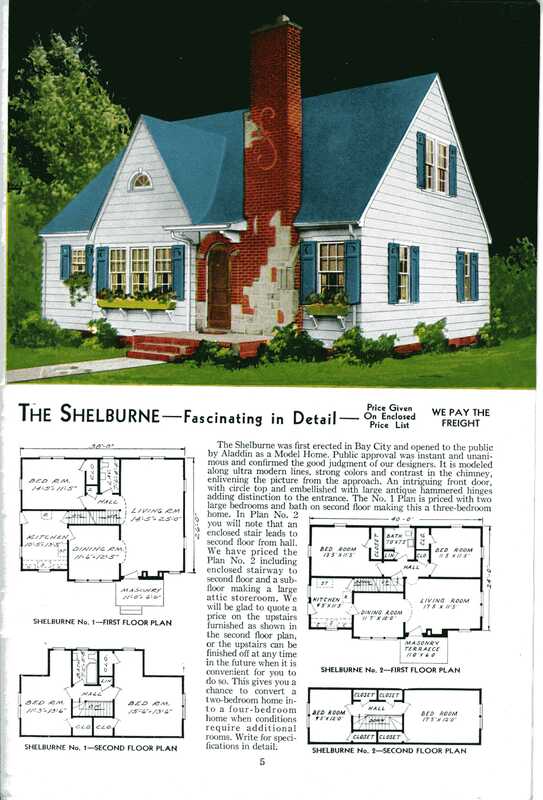 Below you will find a slide show of our 1920-1921 Sterling catalog. To the left, some of our favorite floorplans from 1916. Buy a high resolution image of any house plan on our site.